Florida Trend Magazine features business news across the state of Florida. From influential business executives to local leaders to government officials, Florida Trend makes sure that the most important people from Miami to Tallahassee are connected. In its most recent feature, Florida Trend recognized some of the state’s most accomplished individuals. Amongst a number of prominent “Must Know Contacts”, Bill Bone was featured for his work throughout the South Florida community, both legal work and community service work. As a leader in the cycling community, Bill Bone has taken noteworthy strides to represent those on two wheels. These efforts have not gone unnoticed, as Florida Trend has acknowledged just how meaningful Bill Bone’s contributions are for the state’s well-being. The act of helping people in need is at the core of what drives Bill Bone. He takes pride in his work both inside and outside of the courtroom. Not only does Bill Bone provide his clients with unmatched legal representation, but he does so in such a way where compassion drives every effort. He truly cares about the people he represents and it shows in day to day work. Being a leader in the community also stems from his love of cycling. As a passion and a hobby, Bill Bone sponsors the Bill Bone Racing Team as well as the Bill Bone FloridaCycling.com Pro Am Series. 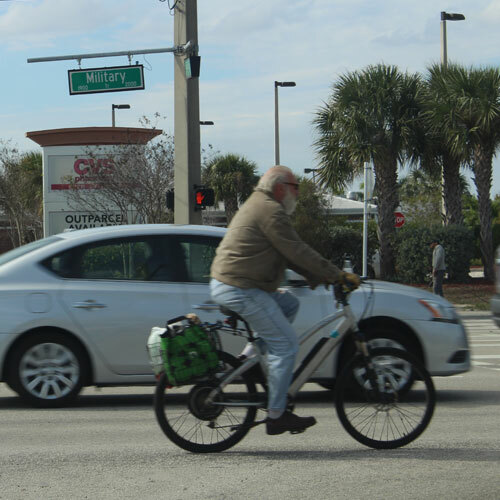 Events like these make a huge difference for cyclists throughout the state of Florida. Not only do these events provide an outlet for dedicated cyclists to compete, but they play a major role in highlighting the importance of bicycle safety across the Sunshine State. Representing cyclists for over 25 years, Bill Bone has a strong connection and passion for bringing justice to those who have been injured on a bicycle. Florida’s key leaders are regularly recognized by Florida Trend to highlight their professional accomplishments as well as their ability to contribute to the local community. Bill Bone is honored to be acknowledged amongst a group of prominent, successful business influencers in Florida.